In June the Enlightenment! 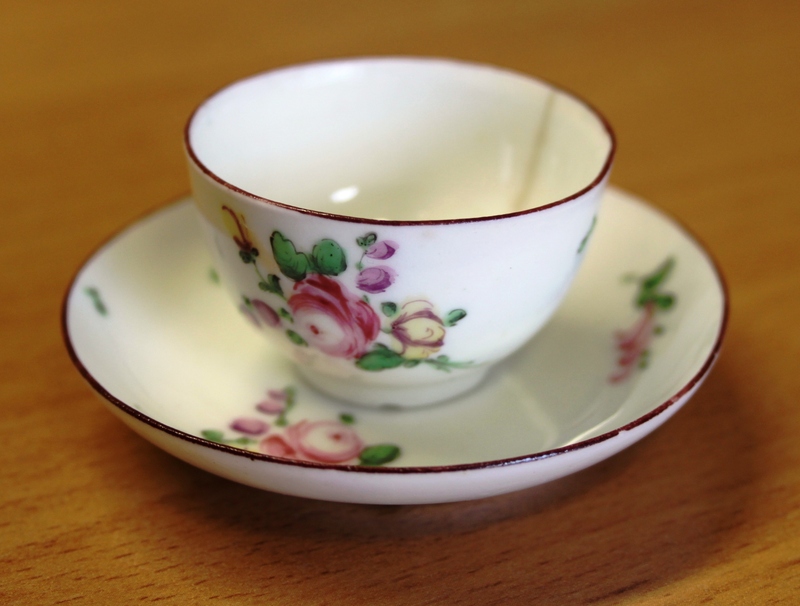 project bought a rare Derby polychrome miniature or toy tea bowl and saucer from Mellors and Kirk auction house in Nottingham. 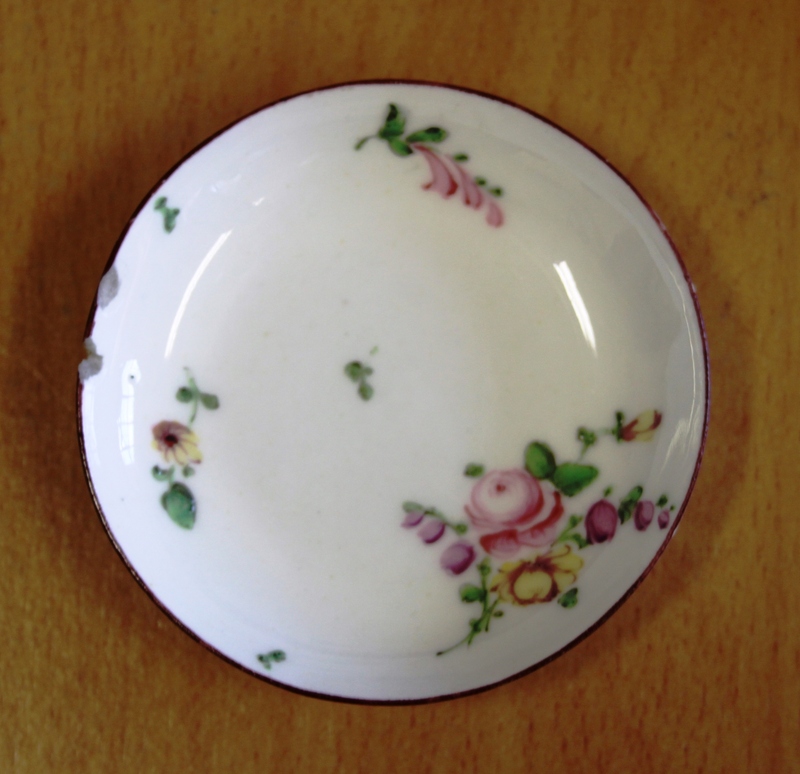 The cup dates from around 1770 and is enamelled with a principle floral spray and scattered flowers.